CASCAIS (Portugal) – The fourth stop of the Extreme Sailing Series was a new venue for the stadium racing format, but the crowds of knowledgeable local sailing fans gave a warm welcome to skipper Roman Hagara – a two-time Olympic champion who has sailed in Portuguese waters many times before. After finishing in the middle of the pack over the first two days of sailing, where winds neared 30 knots for thrilling foiling, Hagara and his young team – Ed Powys, Neil Hunter, Dan Morris and Rhys Mara – found their stride on Day 3, capturing their first race win, plus three additional podium finishes. On Sunday, the final day of racing, the Red Bull Sailing came out strong again, including a string of three consecutive race podiums that encompassed a win, but their GC32 catamaran sustained damage in a foil lift, making it necessary to miss two races while repairs were made. The team came back for the last three races, managing to salvage a fifth-place finish for the regatta. 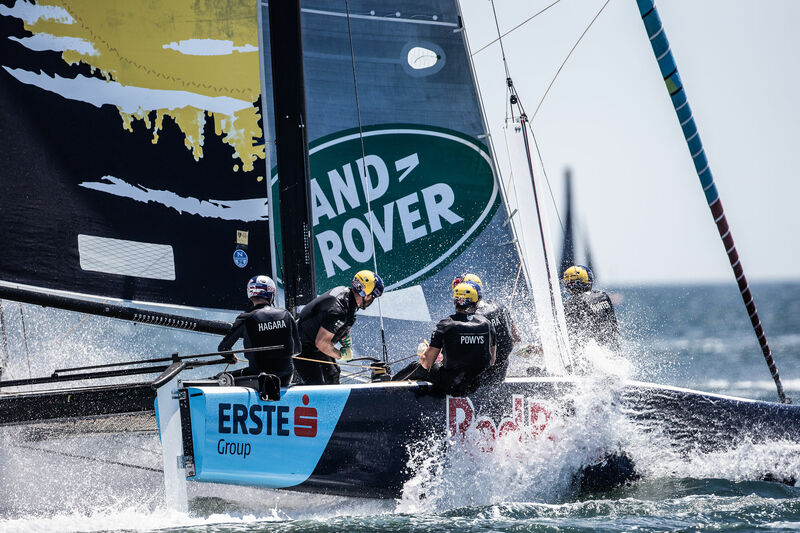 Just three races remain until the Extreme Sailing Series champion is crowned. 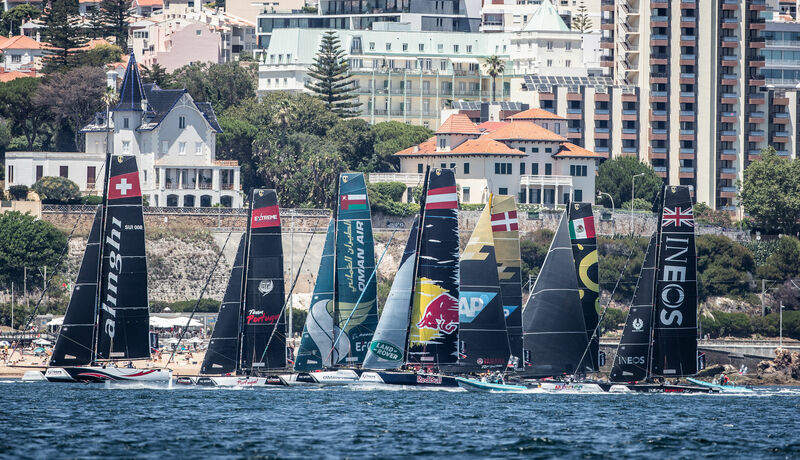 By taking the win in Cascais, two-time America’s Cup winners Alinghi broke an overall points tie with SAP Extreme Sailing and hold the top of the leaderboard with 45 points, but the Danes are only one point behind, while third-place Oman Air remains at third in the standings with 41. 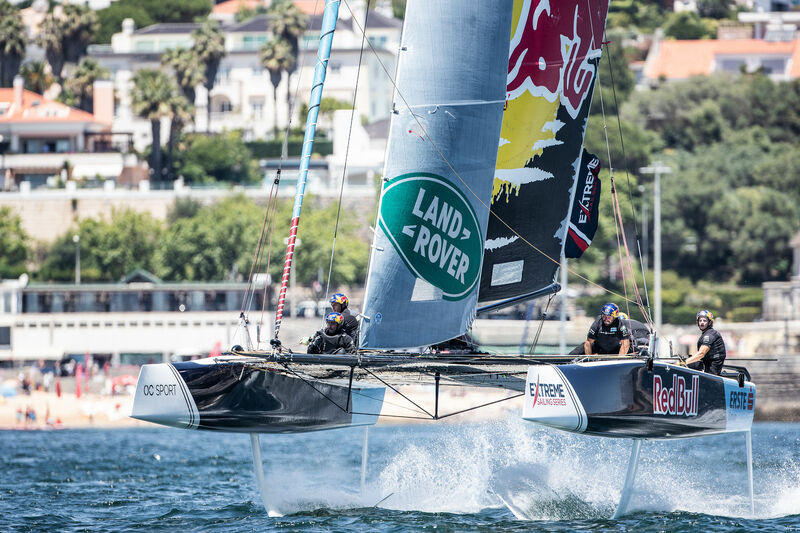 At 33 points, Red Bull Sailing stays at fifth on the leaderboard and now has ample time to recheck the condition of their boat before the upcoming race in the UK in late August. Next for the Red Bull Sailing Team: The Extreme Sailing Series races in Cardiff for the seventh consecutive year when act five takes off on 24-27 August 2018. Roman Hagara and Hans Peter Steinacher are Austria’s most successful summer sport athletes, having won two Olympic gold medals (Sydney, Athens) and numerous world championships. They are the only Austrians to have competed on the America’s Cup World Series. Determined to see sailing progress to the next level, they groom the next generation of sailors by leading the Red Bull Sailing Team in the Extreme Sailing Series and by serving as sports directors for Red Bull Foiling Generation and the Red Bull Youth America’s Cup. In seven events spanning three continents, the Extreme Sailing Series brings the action right to the public, with stadium sailing on foiling catamarans in the heart of vibrant global destinations.